There are many professionals that doing more things with their computers than the regular users. Usually, they launch multiple applications any one time. So no matter whether they are writers, graphic artists, coders or call center assistants they need a second display to get more breathing space on the desktop to spread apps out and use them as they were intended. But what if you don’t work much at home? Taking into account this and responding to demand, many manufacturers have come in with thin and light models that are just as responsive as their full-sized siblings while being slim enough to slip into a backpack. So we can say the portable monitors are reliable devices to use for multiple applications including when you need to travel. But how slim a portable monitor can be? 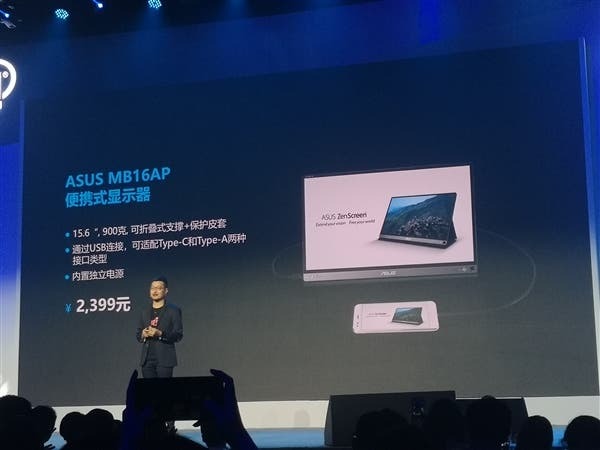 Today, at a special conference, Asus announced the world’s thinnest portable monitor with a codename of MB16AP aka ZenScreen Go. 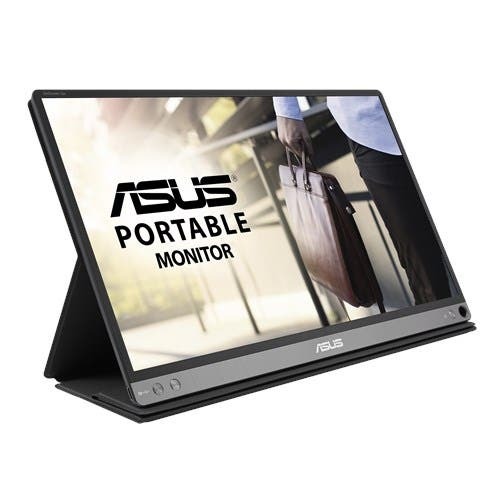 The Asus ZenScreen Go and other portable monitors are smaller than standard monitors. Plus, thanks to the rising popularity of fast USB connectivity, they are now more affordable and easy to use than ever. It can be carried everywhere and help you in enhancing your productivity. As we said, the ZenScreen Go can be a nice solution if you plan on extending your workspace. Say, you can use it as an extra screen with your laptop. Actually, there are three features we should take a peek at when looking for a portable monitor – resolution, connectivity, and stand. As for the Asus ZenScreen Go, it sports a 15.6-inch 1920×1080 resolution IPS screen with an anti-glare coating and Blu-ray filter protection support. Two interface types (USB-C and Type-A) can be adapted through the USB-C connection. Of course, it has a kickstand. The ZenScreen Go has an 8mm thickness and weighs 900 grams only. Thus we are dealing with the world’s thinnest portable monitor. But the biggest highlight of this monitor is the built-in 7800mAh lithium battery that provides up to 4 hours of work time and even supports reverse charging. It is priced 2399 yuan ($380).